Nokia 8 rumours? Nokia likely to dominate the mobile industry again! Earlier this year, Nokia unveiled three new Android smartphones at Mobile World Congress. In February 2017, Nokia unveiled its range of new Nokia smartphones introducing a reshape in design, build quality, performance and user experience throughout the range. They featured three new smartphones – the new Nokia 6, being the premium flagship it consists of power-pack hardware focused on performance but still managing to be elegant due to its robust body. 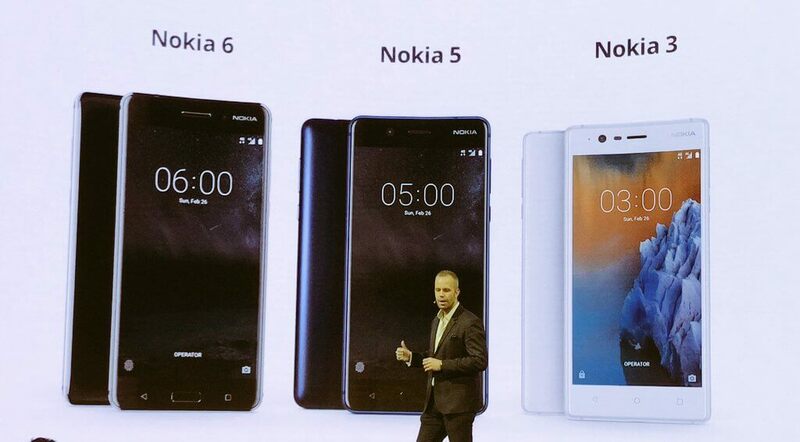 The second phone introduced by Nokia was the Nokia 5, a mid-range smartphone which head-on challenges smartphones in its range by other manufacturers and finally the Nokia 3, which boasts an unmatched quality, given the price. The new range of Nokia smartphones all run Android™ Nougat and offer a pure, secure and up to date experience also consisting Google Assistant. However, rumours and pictures of a new Nokia device have been surfacing the internet lately, the “Nokia 8”. The Finnish company HMD Global hasn’t officially announced the device yet, but the people are loving it anyways. The Nokia 8 is said to feature the latest Android Nougat, a 5.7″ IPS LCD capacitive touchscreen with a pixel density of 515ppi, 4-6GB of RAM, 64GB/128GB internal memory with MicroSD support up to 256GB(will be using SIM 2 slot). Rumours of the Nokia 8 started due to Qualcomm showing of a handset device at CES. If the rumours are to be believed, Nokia 8 will feature a Qualcomm MSM8998 Snapdragon 835 chipset. However, Qualcomm has taken action and denied this rumour. Qualcomm tweeted that the device was not the Nokia 8 but rather a prototype device for their Octa-core Snapdragon 835 CPU. Nokia 8 is also rumoured to feature the Adreno 540 GPU, a heart rate sensor & a front-mounted Fingerprint sensor as well. It also has stereo speakers & Dolby enhancement like the Nokia 6, but the addition of 24-bit/192kHz audio is a cherry on top. However, the size of the battery has not been known yet. Nokia has been a dominator previously when it comes to the smartphone camera. The Lumia 1020 was a trend setter for the smartphone world and how can we forget about the might Nokia 808 Pureview 41MP shooter? Not to miss the fabulous Carl-Zeiss lenses that have been featuring in the Nokia family since the N-series. The Nokia 8 is said to be packing a 24 MegaPixel primary camera shutter with OIS, phase detection, autofocus, dual-LED(dual tone) flash & 8 MegaPixel front camera for great selfies. It can record [email protected], [email protected] videos and includes other features such as Geo-tagging, touch focus, face detection, HDR, panorama mode, etc. Aside from the talk of a 24-megapixel sensor, there’s some buzz about the inclusion of Zeiss lenses. Moving on to the design of this device, there are a lot of images surfacing the Internet of the Nokia 8. Some pictures indicate the design to be somewhat like the Nokia 6 but other images show that the Nokia 8 has a unibody with a fingerprint sensor at the bottom and two touch navigation keys on the left and right side of the fingerprint sensor. 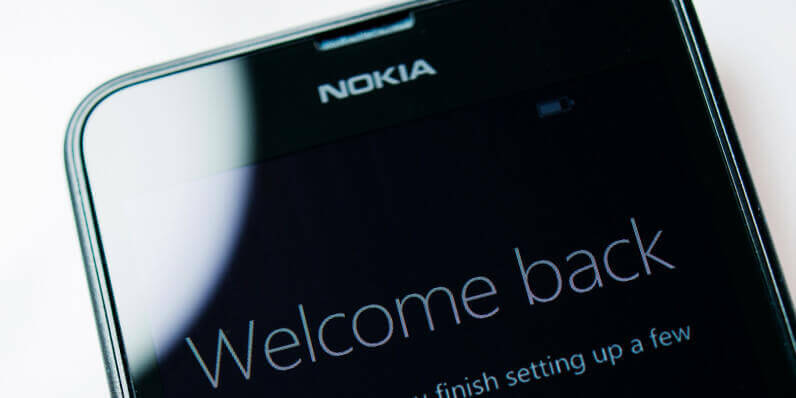 All the Nokia Android phones so far are made of 6000 series aluminium, so we’d expect a flagship to be exactly the same to maintain the standard of quality that HMD Global (the company making the new Nokia phones) has shown. Due to the rumoured non-removable Li-ion battery, we can guess the device to be of a unibody design. 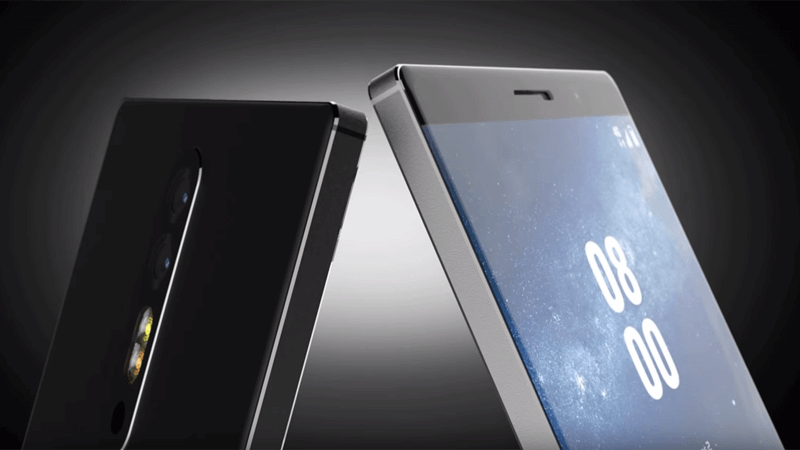 However, some of the early rumours about Nokia 8 were based on Nokia 5 and Nokia 6 shell leaks, so there’s currently very little to go on when it comes to design. Nokia is already launching three handsets in 2017, all due for launch in Q2 2017. There are few rumours around about when to expect a flagship device launch. However, rumours have fallen into line with the rest of the Snapdragon 835 rumours. There’s also a price of 4000 yuan for the smaller handset and 4500 yuan against the larger, suggesting that this phone might be launched in China first. An unnamed source has told Nokia Power User that the Nokia 8 will be released in Q3 of 2017, perhaps July or August, with an asking price of €749/$699. We’ll keep our eyes peeled for rumours and update you when we know more. Exclusive: An unknown Nokia phone with dual-front firing speakers and 16-lens array camera spotted! Could this be the Nokia 10? Specifications about Asus’ upcoming ZenFone 4 smartphones leaked on the company’s e-store and GFXBench. Apple might ditch the ‘s’ nomenclature and introduce ‘Pro’ instead, for its new iPhones; Launch & Sales date leaked!